There is a trend for celebrities who flaunt grass-to-grace stories of rising from poor background to fame. Mostly, they rise beyond their circumstances because they looked within themselves to discover and develop the greatness inside them. If they had continued depending on other people, they may not have developed their talents to succeed. The ethnic communities and kingdoms colonially merged in Nigeria/Africa may never attain greatness until they actualize their individual potentials for industrial productivity. So, the colonially-merged peoples will decide on their mode of self-rule and productive partnership in a true national conference over the dogmatic colonial structure. Several candidates for Nigerian political offices seek votes by promising to restructure Nigeria. Their ideas of restructuring fluctuates between devolving power to the post-colonially made regions or states without considering the original ethnic communities. They hope that singular governments within regions or states should own and control all resources within the arbitrarily-made boundaries notwithstanding the ethnic communities’ consents. These ideas of restructuring sustain the colonial scheme for denying ethnic communities’ ownership of their lands and resources for productivity. Like the present federal government, states and regional governments will seize and auction various ethnic communities’ resources to industrialized nations for consumer products. And it may never result to peace and progress because the real owners of any traded resource will feel cheated. National conference is a forum in which delegates of different ethnic communities in a country discuss terms and conditions for a productive national alliance. It is like the conferences between the thirteen colonies that later fought to become the independent United States of America. Before and after their independence war, these thirteen colonies discussed and agreed on terms and conditions for their national partnership. The testament of their agreement to terms and conditions for their national partnership is contained in the USA constitution. Agreements on terms and conditions for partnership through national conferences are essential for productive collaboration and security in any society. For two cannot walk unless they agree, and agreements about future obligations must be cast into writing. Why does Nigeria require a national conference? To reorganize the Nigerian CONSTITUTION for justice and legitimate governance: socio-political constitution is the coming together of various groups of people who work together for their survival and progress. Each group involved pledges to continually contribute materially, intellectually and emotionally to their survival and growth. Harmonious constitutions rise from informed ‘consent of the governed’ and survives by the people’s loyalty to their pledges. The book called constitution is just a documentation of the people’s agreement of terms and conditions for working together. While the real CONSTITUTION is the agreement between different peoples to work together for growth and harmonious living. So, without a real agreement among the people, the book is a lie. Unfortunately, the formerly independent kingdoms and communities in Nigeria never agreed to partner as a country. They have never been given the chance to decide what Nigeria is. Instead, the communities were violently merged for exploitation by European colonialists who drew lines on maps of places they had often never been to. The colonialists killed those who resisted and installed laws (book-constitution) to guide the assistants they trained to enforce the colonial plot. 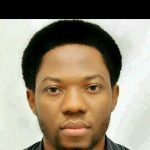 Today, Nigerians lack a common conception of nationhood,and the brutally-merged peoples continue fighting one another under colonially-imposed government structure. Though there are secessionist agitations from few groups, many will prefer a productive Nigeria to violent secession or further breakdown. And even if the partnership does not work, they will still prefer a violence-free disintegration to a colonially-schemed abattoir government. Thus, a national conference becomes urgent for the different ethnic communities to negotiate and create their suitable form of government. This conference will allow the different communities to distinguish themselves, negotiate for partnership and agree to collaborate for progress. The documentation, voting and signing of this agreement will mark the beginning of a legitimate constitution and government in Nigeria. To reorganize Nigeria for productivity and economic progress: wealth is created by applying scientific intelligence on raw materials like agricultural products and mined mineral resources before distribution. It is by applying intelligence on crude resources that iron ore becomes metals for cars, engines, tools and other machines; herbs, roots and plants become drugs; trees become paper, books, cloths, food and furniture; rocks become ornaments, glass, ceramics, marble, cement and other building materials; crude oil becomes gas, kerosene, diesel, petrol, agricultural and even pharmaceutical products. It is by consistently creating and exchanging wealth from these crude resources that a society becomes prosperous and progressive. Before the colonialist invasion, each Nigerian community cultivated or mined crude resources for producing what they needed. Some communities used their crude resources for producing spears, arrows, cutlasses, traps, hoes, iron-gongs, dane-guns, houses, kernel-pomades and other products. They only needed proper scientific education to industrialize their production processes. Unfortunately, colonialists came with machine-guns to exploit the different communities’ mineral resources that would have been used for creating wealth. Thus, Nigeria’s colonially-imposed government was constitutionally programmed to seize lands and mineral resources. Different regimes militarily seize and auction any mineral resource found in any community to former colonialists at world market. Since government seizes all mineral resources for export, intelligent Nigerians lack access to resources for creating wealth. National conference will bring different ethnic communities to discuss and retrieve ownership of their lands and resources for productivity. Then each community trains and employs its natives for production, along with other skilful Nigerians. They will discuss a policy for employing qualified Nigerians first before foreigners. Thus, people who employ foreigners for jobs that can be done by Nigerians may be paying another 50-75 percent of the foreigners’ wage to the government. The monthly 50-75 percent wage will provide industries for the Nigerians they displaced. So, it becomes easier to train and employ Nigerians than to employ foreigners without work-permit. To reorganize Nigeria for cultural renewal and pride: culture is a people’s way of life. It is how different people see themselves and other people, and how they interact with their environment for growth and survival. Culture manifests in people’s beliefs, interpersonal relationships, songs, festivals, education, occupation, food, cloth, values, attitude, language and technology for survival. Through experience and enlightenment, different people discover better methods and tools for solving specific problems in their environment. Eventually, different societies interact with others to share and adapt favourable ideas or methods in other cultures. With this intercultural sharing of discovered ideas and methods, humanity advances and the world becomes richer. What cultural gifts does Nigeria/Africa contribute to enriching and improving the world? Before the advent of colonialism, different kingdoms and communities in the present-day Nigeria had been developing their respective cultures. Yet, like every other culture, they needed to share in the modern ideas and methods of environmental management. They needed ideas on modern industrialization to use their local resources in producing suitable items for their circumstances. However, European colonialists came to violently merge and seize the different people’s natural resources for European industries. They eliminated those who opposed them, and trained few manageable locals in Common Law to assist in enforcing colonial exploitation. Condition the people to desire foreign products and lifestyle, instead of valuing items relevant to their cultures and environment. Some Nigerians now wear thick suits under Nigeria’s hot sun, eat and speak through their nostrils like oyibo. Some others brag about their INABILITY to speak their native languages, prepare/eat their native foods, dance their cultural dances or progressively interact with their history, traditions, festivals and environment. Structure Nigerian political institutions to seize and export people’s resources that could have been used to produce environment/culture-relevant items. Thus, instead of collaborating to use resources for local production, Nigerians fight for who occupies the colonial position for auctioning people’s seized resources to foreigners. The foreign education-system replaced the communal disposition for industrial collaboration with individualism, for seizing and privatizing different communal resources. Train Nigerians to import, count, market, install, prescribe and report products for foreigners, instead of locally producing and exchanging products. Nigerian entrepreneurship now implies competing with other Nigerians to obtain and market foreign products, instead of collaborating for local productivity. 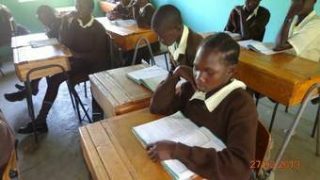 The alienating effect of this colonially-introduced education indirectly explains the reason for Boko haram’s rejection of the unproductive western education. It also indicates why many Nigerian youths’ abandon formal education in pursuit of quick-money. When young people are denied access to resources for lucrative productivity, they become desperate and criminal. Presently, the psychological effect of the century-long colonialism makes many Nigerians feel inferior to other races. Hence, many ‘educated’ Nigerians seek validation from former colonialists and foreigners in almost everything: fashion, human relationship, religion, cultural values and lifestyle. Before national conference, each ethnic community will evaluate and choose the cultural values and practices to remove, retain or modify. This evaluation will be guided by the intention of human dignity, peaceful cohabitation and productive collaboration with other Nigerians. So, they will focus on developing their people’s capacity to use environmental resources to respond to their culture and environment. Then ideas of ‘OSU’ (outcast) in the East or ‘TALAKAWA’ (dispossessed lower-class) in the North will be re-examined based on modern enlightenment and modern productivity. Also, the civil government will not have any right to impose or depose traditional rulers, nor interfere in cultural matters that have no substantiated criminal undertone. 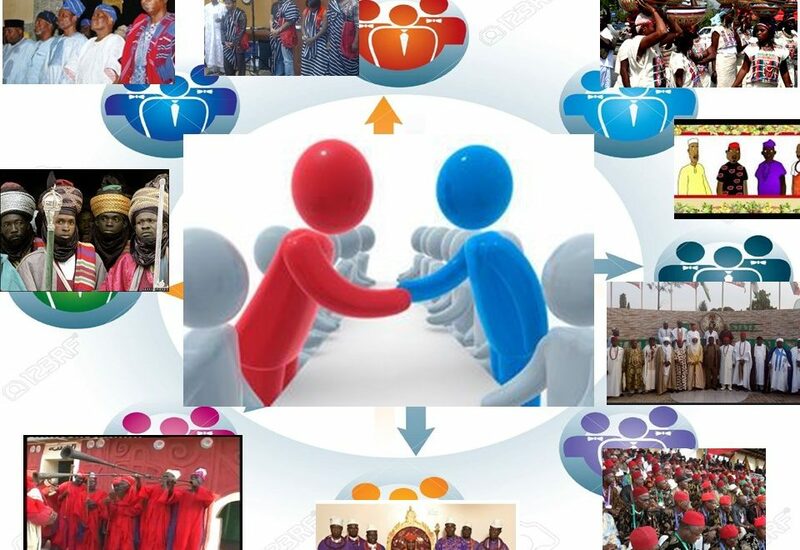 Members of the ethnic communities know best how to relate with their process of traditional leadership. Why not rely on the previous national conferences? There are claims about several national conferences in Nigeria, and most recently the 2014 national conference. In true national conferences, each community or kingdom is represented by someone they choose to present their positions. The delegate may be chosen by several neighbouring communities in a local government or senatorial district. The delegates in those conferences were selected by federal government, not delegated and instructed by the people they claim to represent. This objection does not justify representation by party-imposed officials in a national assembly that was created by post-colonial dictation. The conferences were restricted from discussing ownership of lands and resources. The federally-appointed delegates were restricted from discussing the political constitution that is misrepresented by a book constitution. The previous national conferences were not democratic. “In democracy, power develops organically from bottom (people) to top (leaders). But in pseudo-autocracy, power is first seized from a defeated people and given from top (rulers) to down (officers).” Nigerian government came from colonialists, who subdued the different kingdoms and communities to create the present form of government. The national conference remains ineffective if government officials, whose functions were given by colonialists, continue appointing the delegates. Previous conferences were talk-shows and jamborees lacking legitimacy, since the delegates were handpicked to fit the political officers’ intentions. Presently, there is hardly a realistic data about the number of ethnic communities, kingdoms or people in Nigeria. And efforts to conduct a plausible survey/census has been constantly frustrated due to a system of allocation by population: the more your population on the record, the more your monetary allocation. However, the research for a true national conference will not be based on population for sharing allocation. Instead, it aims to identify the productive capacities (human and materials) of the different ethnic communities and kingdoms in Nigeria. The research-procedure for a new Nigeria is outlined in a previous article: “the social research for a new Nigeria”. Who convenes the true national conference? A sincere government will arise to conduct the research and to convene the national conference. Who are the people to negotiate in the national conference? Presently, there are 109 senatorial districts that cover the different communities, kingdoms and local governments in Nigeria. The different kingdoms and communities within these senatorial districts will discuss and choose their conference delegates. These discussions within ethnic communities will mark the foundation of Nigeria’s internal democracy. Some kingdoms are small, while some are large or moderate. Smaller kingdoms within a local government can discuss and choose a delegate to represent them in the local government. Then the delegates from different local governments will choose a final delegate among themselves to represent their district in the national conference. The delegates are answerable to the kingdoms and communities that chose them, and not some party politicians. So, they are to be in constant electronic communication with the communities. They are to submit reports and get verifiable feedback from the people that sent them. And the delegates can be replaced in the conference if they deviate from the people’s interest. After the conference, the delegate-seat may be formalized and tenured for subsequent inter-community discussions. We noted that people create wealth by applying scientific knowledge on environmental resources for producing useful items. Every ethnic community in Nigeria has both human and material resources for creating wealth through production. But using the Nigerian Mineral and Mining Act, Nigeria’s pseudo-autocratic federal government seizes all lands with tradeable resources for export. Also, using the Land-Use-Act, state governments take people’s ancestral lands without consent. This deprivation of people’s lands and mineral resources leads to unproductivity and poverty in Nigeria. The conference will discuss and formally recognize indigenous land/resource ownership by families, clans, communities or kingdoms. Afterwards, people who wish to merge their land with other people in the same state or region can do so. Also those who wish to submit their lands/resources for joint government ownership can do so. With the formal recognition of the people’s ownership of their lands, these lands will be registered, and maybe taxed. Then people will no longer need governor-issued certificates of occupancy (C of O) to obtain development loans. They simply have to notify their local government before any land-sale, lease or mortgage. Hence, government will provide both physical and electronic registers for confirming who owns which land at each time. For those who do not reach agreements on land’s boundaries, the government will manage those lands until they settle. People whose lands had been seized and used through government for some project deserve justice for the robbery. Yet, they won’t demolish the structure that are already established for commercial or social service purposes. Instead, the companies or bodies occupying the seized lands will renegotiate percentile-shares in the investment with the displaced land-owners. The offshore mineral resources could then be owned and fully managed by the government as common property for all Nigerians. Evidence of team’s professional qualification and capacity. Evidence of technical and financial source (loan or investors) to support the firm. Evidence of staff legal status: to avoid human exploitation; no Nigerian will be employed without having a legal backup. This is to legally prevent employer or employee irresponsibility. Evidence of eco-safety measures. This is to prevent environmental pollution and industrial hazard. Readiness to undergo periodic inspection for quality control, staff welfare, consumer protection and corporate social responsibility. The industrial pattern will primarily support mass-producing materials for light and heavy machines and engines for construction, agriculture and manufacturing. Then, the extracted and processed raw materials will be sold to Nigerian producers first, before exportation: charity begins at home. To avoid haphazard industrialization, different people whose lands contain similar resources could form corporations for primary industrial estates. And those required to halt production in order to maintain industrial balance could receive periodic stipends from government. With more production level, government will consider increasing import duties to encourage local patronage. In the conference, they will discuss tax-percentage for individual producers, workers, local and foreign firms (20-40%). Specific tax-percentages go separately to local, state and federal governments mainly for education, secondary industry and banks, then security, health, inter/intra-state road connection. Secondary industries become urgent to use the extracted and processed crude resources for finished goods. Then, tech-gurus can create websites for Nigerians to market their raw materials within Nigeria first. To encourage internal trade of raw materials, the export tax for crude resources that could have been used for production in Nigeria will increase to about 50-75%. This addresses unemployment. Business owners give job description to their employees, and not the other way round. Since members of different ethnic communities jointly employ government officers to SERVE, the communities should provide the job description. If politicians continue working with the job descriptions from colonial masters, then Nigerians cannot claim to have independence. Thus, the first sentence in the Nigerian constitution, “we the people of the federal republic of Nigeria” remains a lie. Legislative: is the body through which converging people discuss issues and make laws to guide them towards harmonious cohabitation and productivity. The person elected or appointed to represent the people does not become superior or unaccountable to those who appointed him/her. Instead, like lawyers representing clients, elected persons only represent the interest of the people that sent them. Nigerian legislative developed from the colonial parliament that appointed few people to represent thousands of communities without consultation or consent. The representatives’ roles were purely advisory to British governors-general, and not to defend the people’s interests in law-making. Their inclusion was just to give the impression that the exploitative laws came with the indigenes’ support. This is why Nigerians have not made real progress on the colonial foundation for legislation. Instead, politicians who win the colonial offices gain from the exploitative foundation laid by colonialists. Before a major legislation or plenary, senators must physically or electronically explain and consult their ethnic communities. 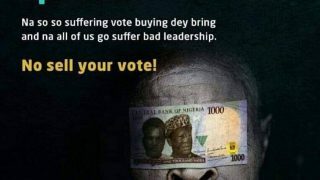 Using BVN or any other means they like, the people will adopt a position by maybe two-third or any chosen quota. Any serious derailment from the communities’ position by a senator amounts to betrayal that can lead to removing the senator from office. The senator may be probed or jailed for any criminal cause for such betrayal like bribery or favouritism. Senators’ families may live in the districts they represent to feel whatever the people are feeling. They will provide quarterly reports to the ethnic communities in the districts they represent. Their salaries will become equal to 10-20 times whatever minimum wage obtainable within their senatorial districts. The pensions may stay around 3-7 times the minimum wage in their districts. Hence, senators cannot just appropriate arbitrary salaries and terrifying allowances to themselves using RMAFC. 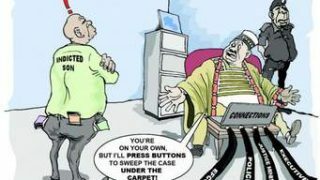 Also, SERVING Nigeria as a legislator is not by force, and immunity is not a must. The constituency project funds given to legislators will cease. Legislation is for making laws, not for executing projects. Hence, the constituency project funds will be allocated directly to the districts. The funds will be jointly supervised by federal ministry branches and community delegates. And the projects (education and industry) will be audited every two years by separate auditing firms. There may be no need for House of Representatives, since the senatorial districts cover the whole. The state assemblies will be modified according to community delegates within local governments. With these measures, Nigerians will be directly involved in the country’s direction and governance. EXECUTIVE: is the branch through which the people execute their agreement (laws) for collaborative productivity and progress. The executive consists of federal, state and local government. And they perform different functions which include: providing amenities, finance, internal security, regulations, national defence, law-enforcement, policy development, debt and external affairs liaison. To boost local productivity and technical development, the executive sees that 65-80% of amenities come from local productivity. National development is building people’s capacity to collaborate in producing what they need. It is not using foreigners to build roads or install foreign depreciating assets. Many regulatory functions of the executive may not change. The main change is that executive will no longer claim, seize or auction people’s lands and resources. Instead, they will generate funds by taxing the people’s profits, income and foreign luxury consumption. Then, communities or individuals will provide lands for other development projects after discussing price, shareholding percentage or tax-waiver with government. Before annual budgets, executive governments will present audited fiscal accounts to the people. Since political aspirants seek to serve, they will face real interviews by their employers – the people. And the salary will be pegged at an agreed percentage measured by the minimum wage obtainable in the country. Officers using public funds to execute projects may not add their faces on public projects. JUDICIARY: is the organ through which the people establish justice in the society. The judgments given in courts do not belong to the judiciary. Instead, they are the people’s agreement which have been codified as laws. And when judgments go contrary to the people’s agreement, they cease to be true or binding on the people. Since Nigeria was not formed from the people’s agreements, the judgments are not yet Nigerian. Yet, they will become after a true national conference for a new Nigeria. To avoid executive manipulation of the judiciary, the national conference will agree on minimum wage percent-range for the judiciary. Though the executive disburses funds, it will be illegal to control the judiciary by altering or delaying their funds. The judicial council will also elect their leaders, instead of depending on executive appointments. The leadership of INEC will also come from elections. National security involves both the internal maintenance of law and order, and national defence from external attacks. 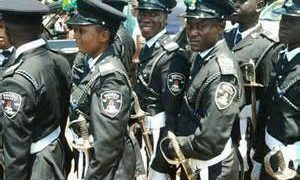 In a previous article, we discussed how Nigeria can manage internal law enforcement through police reform. In another article, we discussed how Nigeria can defend herself from external attacks by reordering Nigerian military for a new Nigeria. We noted that the internal and external security apparatus were not originally formed to protect productivity in Nigeria. Instead, they were formed to prevent the people from revolting against the exploitation of their lands and resources. To ensure security for productivity, the national conference will adopt policies for developing a federal police from community police. Second, they will discuss a policy for the military to grow from drafting specific number of certified young persons from each community or local government. Also, the internal leadership of the military will be determined by merit and elections within the military, not executive appointment of friends and sycophants. For success in a security apparatus is dependent on the personnel’s confidence in the commander they elect. And when a multi-ethnic country’s security is totally controlled from the central, it becomes easily twistable for tribal or religious interests. In emergencies, the executive appoints persons to serve temporarily pending a proper election. What will be the outcome of the national conference? A new constitution will be the result. Constitution is a covenant of duty between members of a society to collaborate for their safety, development and satisfaction. Governments derive their legitimacy from the free consent of the governed codified in a constitution to guide the collaboration between people for common good. The people’s discussion and agreement forms the foundation. How often should there be a national conference? Subject to the people’s agreement through their delegates, it could happen once in every eight or ten years. It is like a meeting of board of directors/shareholders (ethnic communities), whose business is managed by employees (government officials). No ethnic group, community or kingdom will prefer to secede from a just and progressive Nigeria. Once each individual, community or kingdom can manage their lands/resources and pay tax, there may never be any secessionist agitation. The beauty and strength that can arise from harmonizing Nigeria’s different peoples will be glorious. Hence, the national conference will focus on harmonizing the different communities for the socio-economic salvation of the black man. For only “a successful Nigeria could transform the continent in the twenty-first century… In business, law, science, arts, literature, music, sports, Nigeria produces phenomenally talented individuals as if it’s superheated society throws up brighter, hotter human beings than anywhere else.” “Even in the worst of times you do not hear the tones of doom and despair that characterize some western media reports on the state of Africa.” Nigeria always has hope and will extend this reviving hope to the rest of Africa and all subjugated people of the world. “NO GUTS, NO GLORY” is a Nigerian Army dictum applicable to the different ethnic communities and kingdoms. Without the guts to look inwards and develop themselves, the different communities may never get the glory of modern development. Instead, they will remain mentally-caged in the colonially imposed notion of common-wealth. This is the distractive notion of dependence for foreign consumer products in exchange for other people’s crude resources. And as Nigerians fight for who seizes and auctions other people’s resources, foreigners applaud and reward them with non-regenerating and quick-depreciating assets, consumer products and weapons for killing one another. Cf. Ademola J. Ajuwon, Research Designs, M.sc Bioethics lecture, 5th September, 2016. University College Hospital, Ibadan, Oyo state. Adefolarin Malomo, M.sc Bioethics lecture, 23rd March, 2017. University College Hospital, Ibadan, Oyo state. Wikipedia, https://en.m.wikipedia.org/wiki/Boko_Haram. This reference does not imply Restartnaija’s support for Boko Haram’s violent tactics of spreading their revolutionary messages. Chukwunwike Enekwechi, “Reordering the military for a new Nigeria” in Restartnaija 8th January, 2019. https://restartnaija.com/2019/01/08/reordering-military-new-nigeria/ retrieved 30th January, 2019. Chukwunwike Enekwechi, “Modern slavery in the corporate world” in Restartnaija. https://restartnaija.com/2018/05/19/corporate-slave-labour-nigeria/ retrieved 9th January, 2019. Chukwunwike Enekwechi, “Ensuring consumer protection for standard living in Nigeria” in Restartnaija. https://restartnaija.com/2018/10/02/consumer-protection-for-standard-living/ retrieved 9th January, 2019. Chukwunwike Enekwechi, “reordering Nigerian civil government for a new Nigeria” in Restartnaija. Chris C. Dibie, Essential government (Lagos: Tonad publishers ltd, 2012), p.166. Chukwunwike Enekwechi, “Police reform: role of police in a new Nigeria” in Restartnaija, 27th February, 2018. https://restartnaija.com/2018/02/27/police-reform-role-police-new-nigeria/ retrieved 15th January, 2019. Chukwunwike Enekwechi, “Reordering Nigerian military for a new Nigeria” in Restartnaija, 8th January, 2019. https://restartnaija.com/2019/01/08/reordering-military-new-nigeria/ retrieved 15th January, 2019. A splendid article my erudite brother. We are the colonial masters to ourselves. We are the slaves to ourselves. Are those who form the Political offices not indigenous people of these ethinic groups? If our political Officers act like the colonial masters, that means there is deficiency in our indigenous education and our contextualised education. or is the problem of ‘diversity’ in the so called ‘Unity’. Your disparity between constitution and the real book CONSTITUTION is not clear. I actually understood what you are trying to say, that is What constitution should be in the real sense of it but you seems not to have captioned it very well to bring out there differences. Because I see some underlying words and phrases like: Agreement, working together, for growth and harmony used for both. So it’s not quite clear. Is it that we lack the knowledge or the practice of Nationhood? Because I believe we know it with our acquired certificates but lacks the practice. Yes, the Westerm education have as one of its negativity the selfishness of the Colonial masters but I think it has grown to the level of we looking away from its negativity and position in ourselves the Positivity by also propounding for ourselves, the Education that suits who we are and what defines who we are. on the Delegation of the National Conference, the pentinent question is, who is this delegate?, How informed is this delegate on the culture, the pride, the needs, the sorrows and joys, indeed everything about the people he is representing and how passionate is he or she about the needs and the cries of his or her people? For example, a distinguished Senator in the red sit or the Honourable member in the green sit, who is quite aware of the sufferings of his or her people, and is busy sleeping, or reading a newspaper or even absent when the particular issue concerning his people is being deliberated, how can you say he is passionate about the well being of those whom he represents? So the personality of the delegate is very important to bring about the best in the Conference. On the land ownership, your proposal is good. But hope you are aware of the ongoing menace in our hometown Nise, where a modern market should have been standing in Ngene Oka, if not this tenacious and uncivilized notion of “my land”…its a pitiable situation. Well, this is a very well thought out article. Your definition of National Conference and its facets are enticing. However, it is on the same note that a question arises. I believe you are very much aware that Nigeria, considered in terms of various ethnic groups, kingdoms and communities, is NOT equally gifted. Or perhaps, the giftedness is not equally affirmed. Some groups believe they’re more endowed than the others while some others also feel they’re less privileged than others. This is what I believe to be the major reason why some groups are agitating to secede while others are vehemently defending Nigeria’s unity. Now, your article seems to be too optimistic that every group will support Nigeria’s togetherness as the colonialists have merged us if only the conference be fair and sincere. But I maintain that, given this challenge of inequality in natural giftedness (endowment with regards to natural and human resources), some groups will still prefer to secede since the “ideal” National Conference you hereby propose seems unrealistic in this present Nigeria. At what point will it be possible for the government to become employees instead of employers? When will the notion of job description being given by the community other than the government be realised? Also, if power is so decentralised, and the central body becomes so weak and insignificant, what will be the necessity of still maintaining a central government at all? These are some of the issues you may look into. But generally, your ideas are wonderful. What makes one people’s resource (e.g. crude oil) more important than other people’s resources (e.g. iron ore, copper, uranium or arable land)? Second, democratic power flows from bottom to top as it is with US (13 colonies agreed to forge an alliance and thus empower the seat of central presidency), not like Nigeria where power was brutally taken away from the people (kingdoms and communities) and transferred to colonially-trained assistants parading as politicians. So, at what point will it be possible for the communities to discuss? When a president that understands the necessity of legitimacy in governance comes into power to initiate the true national conference. Will Nigeria have such a president, despite the claim of widespread corruption? Nigerians are not corrupt, they are simply desperate to survive in an unjust social structure that was brutally imposed on them by colonialists. Like Bill Gates says, when you properly and logically identify the cause of a problem and present people with a solution that guarantees their development and fulfilment, many will follow. Thought they may be initially afraid, but with courage and faith, they will follow. When God is ready to do his work with humans, many men of talent and goodwill sprout from cracks in sealed pavements of hopelessness. It is about having faith in yourself, in the goodness of other Nigerians and in God, the director of human hearts. 1. How are you a colonial master to yourself or other people who are not from your family or village? Which institution gives you that power to act colonial-masterly to them and who installed that institution? 2. How was Nigeria/Nigerian government formed and who formed? You or me or your village people or people you delegated to represent you in the formation? Colonialists formed it and created the military and legal institutions to control it. According to Harry Forsdick, he who choose the beginning of the road chooses the place it leads to. 3. Historically, what is your “CONSENTED” link or agreement with a person from Benin, Lagos, Zaria, Benue or Uyo? No consented link, you were all yoked and held together at gunpoint first by colonialists, who later handed you all down to their trained assistants and successors. 4. Who created the Senate you choose to blame? You, me, your people or anybody you or your people delegated to represent them in any parliament? No! The Senate was created and imposed on thousands of unconsented and brutally suppressed people by a colonial constitution. It is no measure of health to be profoundly adjusted to a profoundly sick society or system. Jiddu Krishnamurtu. And it is no honour to accept responsibility for a terrible system that was imposed and is sustained by violence, never your consent. The articles notes that the people will choose delegates, and can withdraw him if he deviates from the communities’ position. Please re-read that portion of the article.